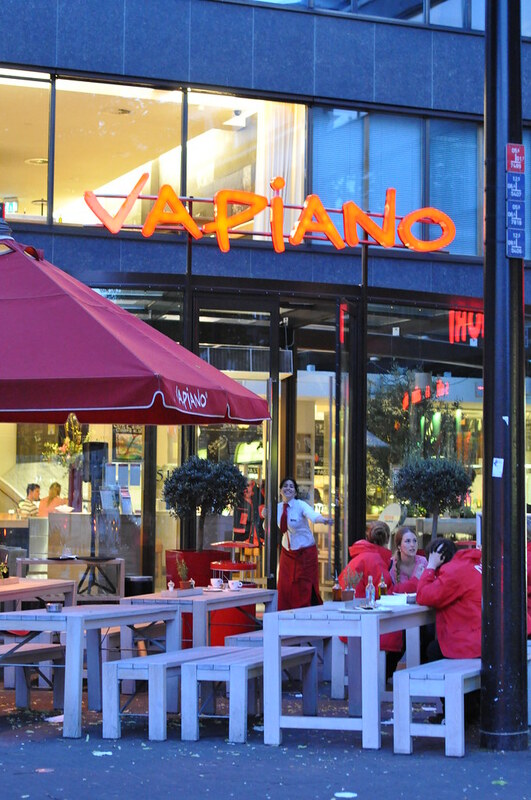 Vapiano, for a quick bite – Absolutely The Hague! Vapiano is a self-service Italian restaurant for those looking to not spend that much but still feel like they are dining out. When you walk in you are handed a swipe-card and the first thing to do is find a spot to sit and claim it. Busy nights are usually Thursday, Friday & Saturday so be aware that it might not be easy to find a spot, especially if you are with a group. The menu is pretty basic with pizzas, pastas, some small side dishes and desserts. Everything has to be ordered at the counter and is added to your card. The atmosphere is pretty laid back, making it an ideal place to go with kids. All cards are scanned before you leave so make sure you don’t lose your swipe-card otherwise you pay a fine (more than a meal & drinks would cost). I Couldn’t leave it alone. I like huge photos plus the link didn’t work. Big fan of Vapiano – a great place to take overwhelmed visitors! It is so easy and tasty too!